​As we wrap up 2017, all of us at The Avsource Group are grateful for a prosperous year and are looking forward to 2018. We wish each of you the brightest of holiday seasons and a Merry CHRISTmas. The Avsource Group specializes in the transition of aircraft being bought or sold, leased or returned from lease. There is no time more monetarily critical to the aircraft owner or operator than during the delivery or the redelivery process. Our management oversight, certification and industry expertise make the difference. Contact us for your personalized quote designed to fit your needs. See below an overview of our current and recently completed projects. ​November was a very busy month for our lead DAR, Mr. Gary Loyd. He traveled all over the world inspecting and certifying aircraft. Gary is currently in Taipei performing yet another aging aircraft inspection on a 767. And will soon be heading to Singapore to issue a Standard Certificate of Airworthiness on a 767. 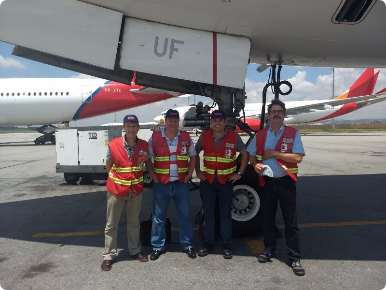 ​An aircraft redelivery process goes way beyond maintenance records.... and The Avsource Group knows exactly how to provide a full-service solution to all aircraft transactions. We can provide a complete detailed interior inspection with survey, a complete structural inspection, and inventory and engineering analysis. This results a complete report indicating not only the findings but also the solutions for each finding. This provides our clients all they need to take decisions that minimize costs, risks and gaps during the aircraft transition. 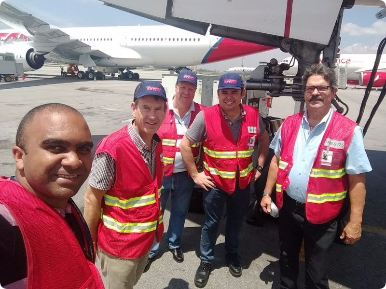 Our Team completed an inspection of a B777, in São Paulo, Brasil. 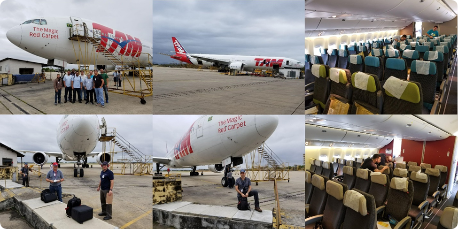 And we continuing to work diligently with Latam Brasil on several aircraft redeliveries and sales. These projects are expected to run through the year 2018.